Dubai our Sandbox: The STOKKE Steps - we love it! 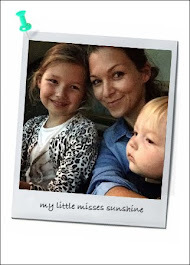 The STOKKE Steps - we love it! 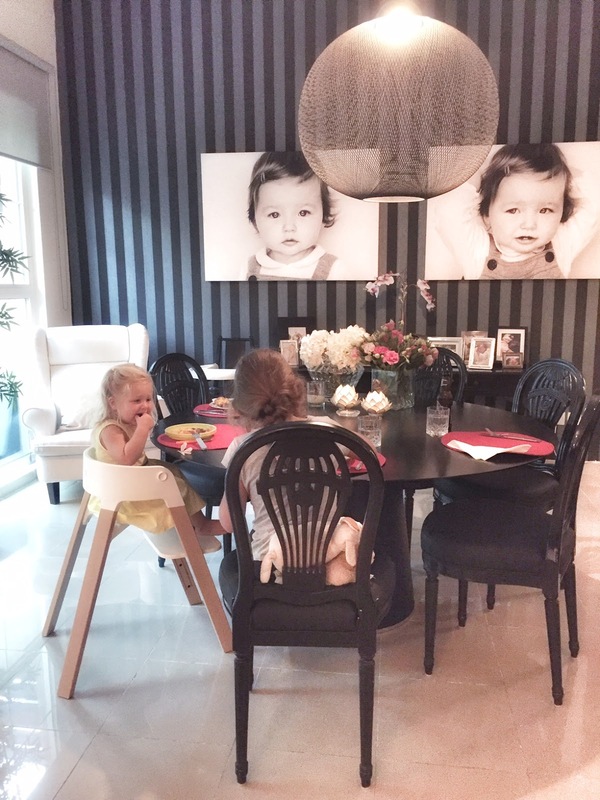 Came home from our summer holidays to find our Stokke® Steps™ Chair waiting for us! We were excited to open up the box and experience the STOKKE Design and functionality. A lovely upgrade from our good old ikea. 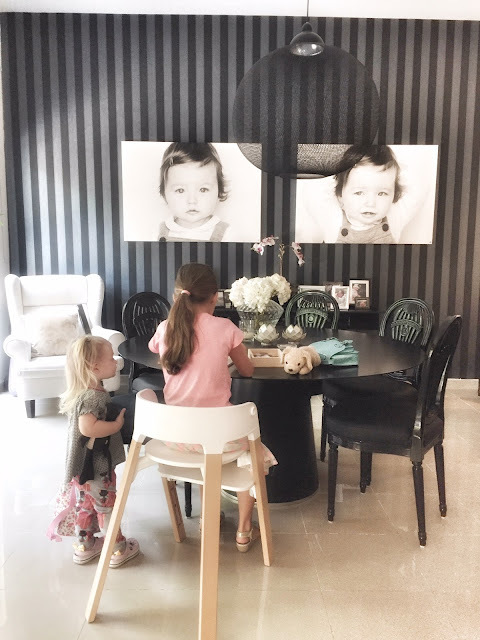 The Stokke Steps Chair is also from Scandinavian origin and is a total stud, beautifully designed with real functionality in mind from newborn, toddler, pre-schooler to pre-teens. It's a transformable children’s highchair which grow your child. It’s a stylish design but is worth the hype and the price? Here’s our review and why we love it. A new contenders in the convertible high chair, the Stokke Steps system, which takes you from those early baby bouncer days right through proper table eating. That’s some good usage! It’s a scandivanian design, so you get a stylish, high quality piece who fit nicely in your home decor. I think it’s an upgrade in aesthetics and function from the already famous STOKKE Tripp Trapp. Flat packed, the chair arrived with easy instruction to put together. Easy and straightforward, you just need the Allen key provided. I am not an expert and usually struggle with putting things together, this time, it took about 15 minutes and no headache (after a minor dumb moment and some distraction from little Jo). My hubby is Swedish with a product design degree, so minimalist wooden design is kinda the look we would go for. Love that the chair is not bulky with loads of plastics elements. It’s a good looking piece of furniture. Modern, easy to clean and fit nicely at the diner table. One another plus note, the Stoke Steps Chair received the most desired and highly ranked international prize for design - The Best of the best Red Dot award in 2015. The Stokke Steps can be used from new born age if you add the The Bouncer, which I think is a great feature. Josefin is 2 years old, so we went straight to the toddler stage and will probably be using it until about she’s 9 years old, i would guess. The transformable feature makes it great all in one product. We should be using the high chair with the toddler seat - help of a harness, tray and seat-back. Our Little Jo is feeling like a big girl and actually enjoy the independence of climbing up and down at her own risk. I have seen the toddler pack and it looks comfortable and very much recommended for a toddler. The back is adjustable and you can add padding. I like that there is a tray option or can be used directly to table level. Even though we should be using the toddler seat, we are already on the ‘grown up seat’ version , where the little one can hop on and off by herself. It has been great because my older daughter Luella who is 7 gets to also use it now and then. They both love it! 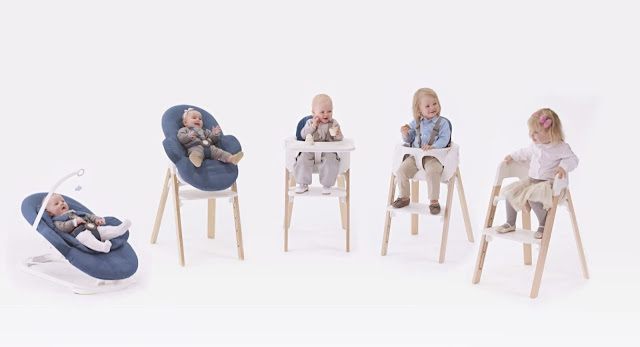 We are already facing the sharing issue, but ultimately it is Josefin high chair. The plastic parts are easy to clean, no fuss, no little corner to reach. It wipes down easily. It looks and feel durable, just like STOKKE promise. The seat will not move up or down. No harness option when you remove the toddle seat. Pricy but would say worth the investment if you are looking for quality, design and long life function. STOKKE - Locate your nearest retailer. NOOK Concept - Love it! Gift ideas sorted!